Will a Government Shutdown Affect Social Security? Subject: Will a Government Shutdown Affect Social Security? 3 + two = Required Please enter the correct value. As Thursday's (Feb. 8) funding deadline draws near, the U.S. federal government is on the verge of shutting down for the second time this year. Because a government shutdown impacts a wide range of federal operations, many American retires are asking: Does the government shutdown affect Social Security payments? The answer centrally depends on your current status with the Social Security Administration as of this week. How Will a Government Shutdown Affect My Social Security? If you have received federal retirement benefits prior to this week, then it's likely that the shutdown will not have any effect on you. The Social Security Administration issues funds for the Social Security program from an independent trust known as the Social Security Trust Fund. This fund and the money it distributes to Social Security recipients is deemed an "essential government service" during a federal shutdown. 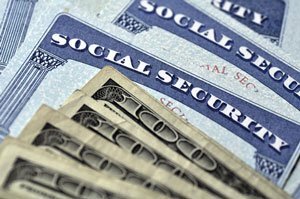 As a result, Social Security payments are protected from any freeze in government spending. Much like the U.S. Postal Service or air traffic controllers, Social Security payments are protected from a shutdown because they are regarded as a necessary service provided by the federal government, unlike the National Park Service.